f. Members of the Salary and Working Conditions Committee will elect one member to serve as the Performance Review Committee Coordinator. g. Vacancies on the Salary and Working Conditions Committee may be filled at large from the general membership. TRUFA SWCC members are elected at the TRUFA Annual General Meeting. The Vice President, SWCC is elected by the committee. The Salary and Working Conditions Committee normally meets three or four times per semester. During the year leading up to bargaining, the Committee meets more frequently to consult with members in order to develop a bargaining package. Members of SWCC may choose to serve on the TRUFA bargaining team, which represents a major commitment of time during active negotiations. The Vice President, SWCC sits on the TRUFA Table Officers committee, which meets weekly for two hours and is the TRUFA representative to the FPSE Bargaining Coordination Committee (BCC), which meets twice a year. Reporting to: Reports regularly to the TRUFA Executive. Term of Appointment: Members will be elected at the AGM on a staggered basis (50% per year) and will serve on the committee for a two year term. Duties and Responsibilities: SWCC is responsible for two main areas. 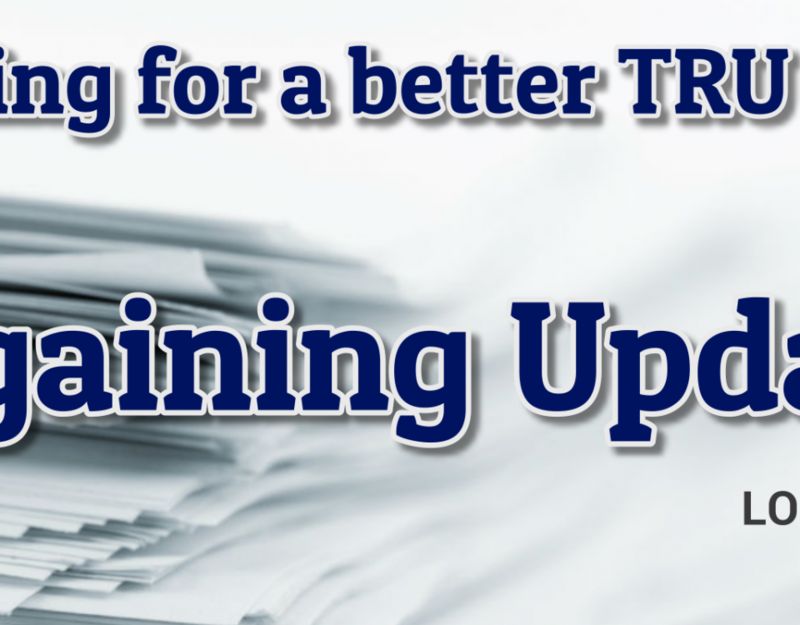 First, SWCC coordinates training of TRUFA Representatives for Departmental Performance Review Committees (PRC) and ensures coverage by these Representatives at all Departmental PRC Meetings as per the Collective Agreement. Second, SWCC is also responsible for coordination and review of the bargaining process including preparation, interim assessment and strategy development. Preparation for bargaining will include (but not be limited to) collecting and organizing data by surveying members and by organizing face to face meetings with members. Meetings: Meetings of the Committee are held at the call of the Chair. Meetings shall normally be convened a minimum of once per month between September and June in non-bargaining years and in bargaining years at such times as to allow co-ordination and review of the bargaining process. Attendance and Participation: All representatives are expected to attend meetings and participate in the business of the committee such as planning and participating in bargaining and/or serving as TRUFA Rep on Departmental Performance Review Committees. 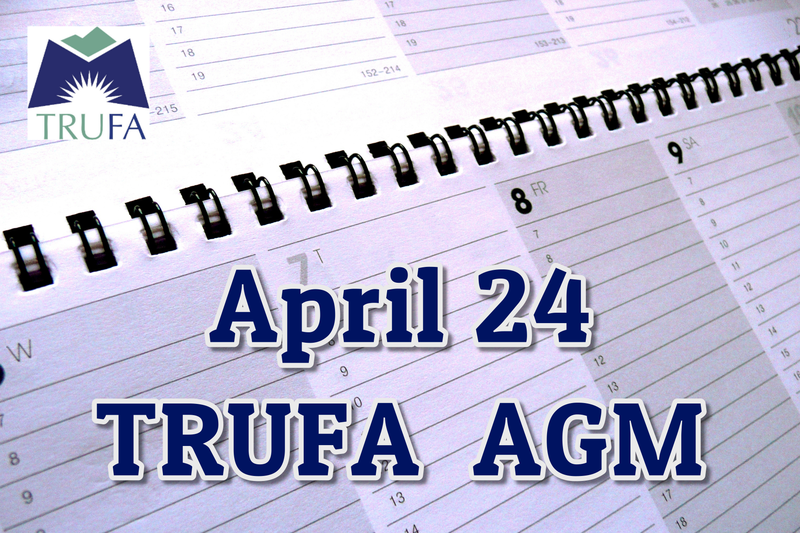 If a member misses three consecutive meetings or more than half of the meetings held in any academic year, or if a member does not participate in the regular work of the committee, the Committee may recommend to the TRUFA Executive to decide that that representative’s seat becomes vacant until such time as a replacement member can be elected. Chairperson: The Committee shall elect a new Chairperson/Co-Chairs at the first meeting of the Committee held after the convening of the Annual General Meeting. The Committee will normally elect a Chairperson who has served on the Committee a previous term. 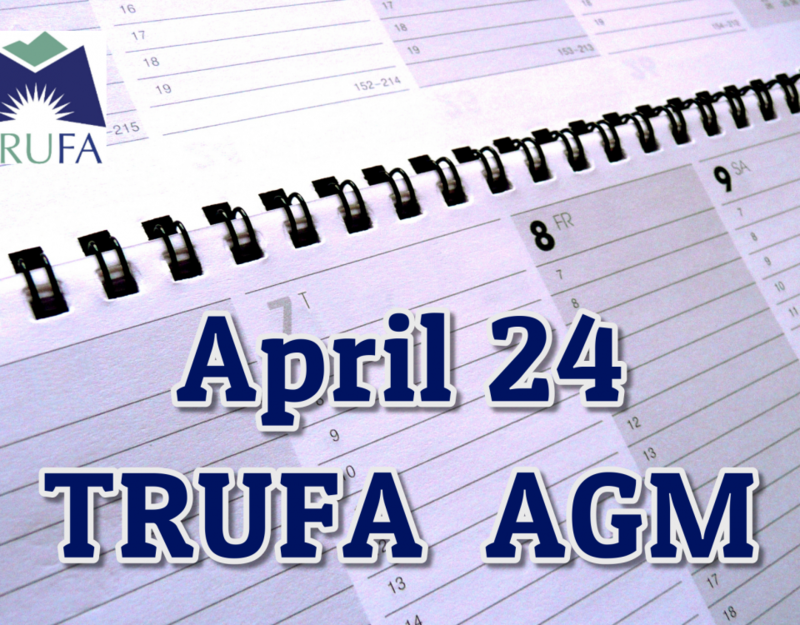 The Chairperson or designate shall attend TRUFA Executive, Table Officers, and Consultative meetings. The responsibility of the Chairperson includes attendance at appropriate FPSE meetings/training sessions. The Chairperson shall attend the Annual General Meeting. Quorum: Fifty percent of the reps including the Chair. Voting: Motions adopted by simple majority. The Bargaining Coordination Committee works to improve the economic and professional welfare of the members through bargaining by facilitating the exchange of information on these matters among members and by providing assistance in the collective bargaining process (Constitution 2.2 and 2.10). It is recognized that collective action is necessary to maintain and improve the economic standing, professional rights, and working conditions of the members of FPSE. 2. Develop and recommend to the Presidents’ Council a program of negotiations training and evaluate its implementation. 3. Facilitate the development of an effective system of bargaining co-ordination by the member associations. 5. Advise the Presidents’ Council on the Strike/Lockout Defence Fund. 6. Assist in the development of common bargaining objectives.